Two of Everything: Water, water everywhere! 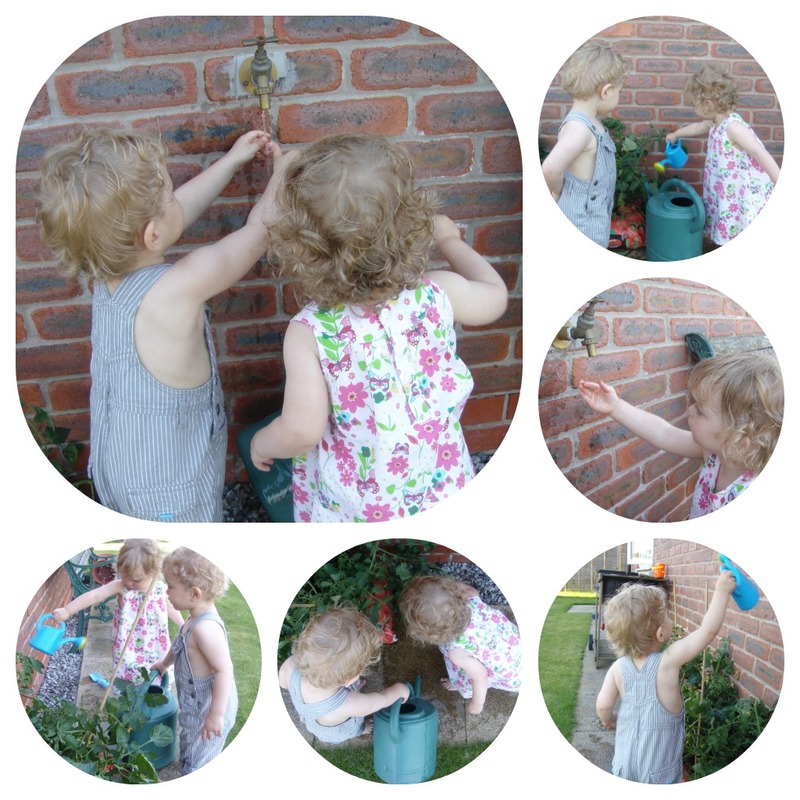 Water play has been quite a feature in our garden this week. It's been a wonderful way to cool down, and lots of fun too. 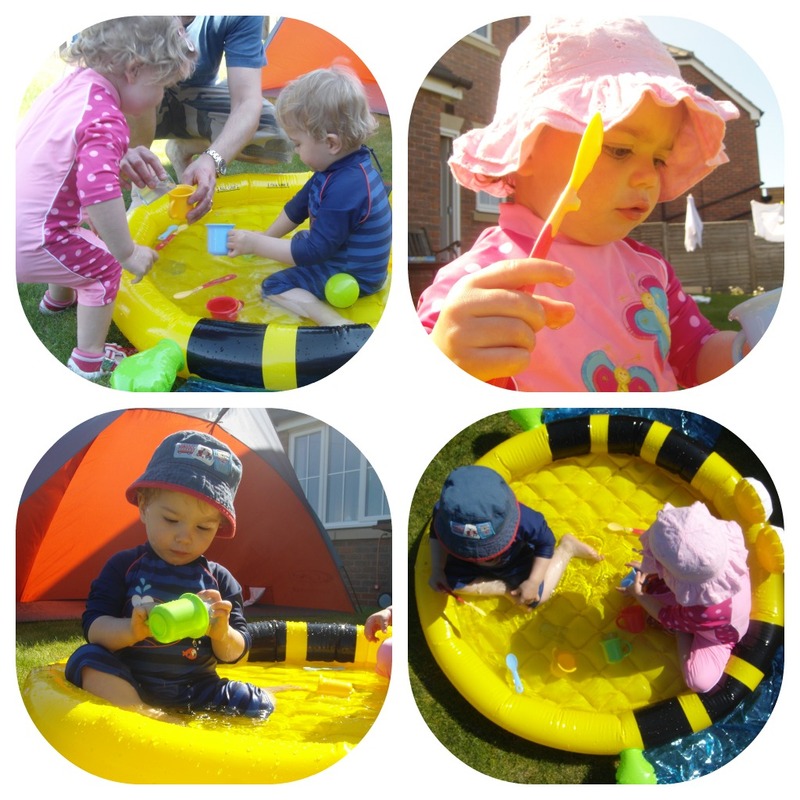 We finally managed to use the paddling pool we bought for our holiday. Up to now we have had to use it inside with plastic balls in; it was nice to use it properly! Little Miss wasn't sure what to make of it to begin with, but Little Man dived straight in (surprise, surprise). They have also helped to water the tomatoes, and they were fascinated with the outside tap! Our sand and water tray has sand in at the moment, so I bought a cat litter tray (£1.30 from Poundstretcher!) 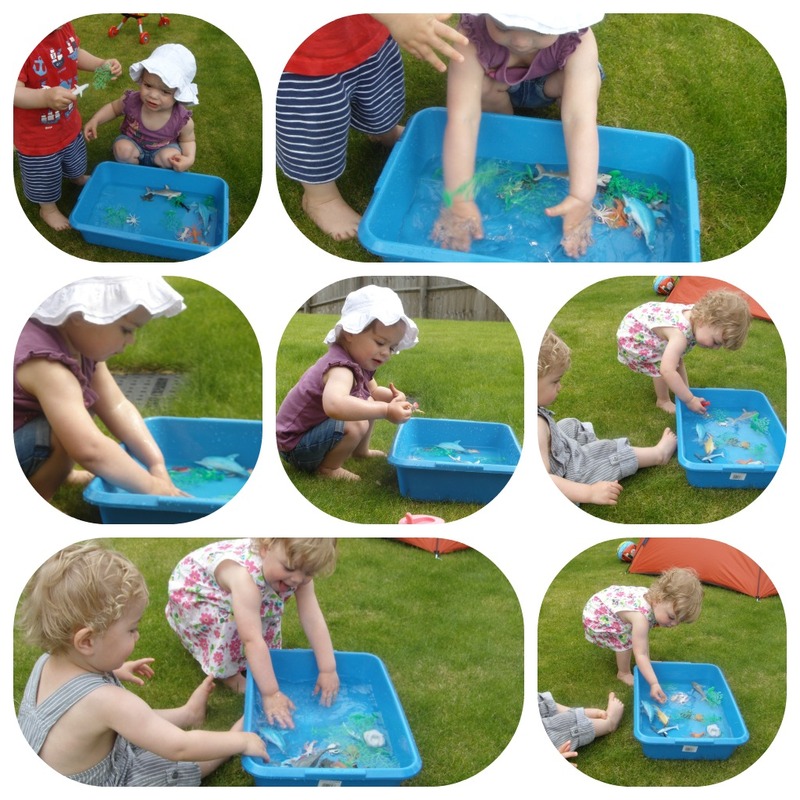 to use for some small-scale water play. I put their sea creatures in it, and they really enjoyed exploring, and splashing in the water. I'm joining in with Country Kids at Coombe Mill. Click on the badge below to see what everyone else has been up to outside this week. That paddling pool makes a gorgeous collage with all the wonderful colours! 3 lovely activities all rolled into one, I do hope this lovely sunny weather stays with us for a while!thanks for linking up. Pleasure :) Hope we do keep the weather, although we've had hail and thunder today! !